Whether you are starting a restaurant or you need some equipment for your food truck. We have it all under control for you. This is because we are the best at what we do. Having only the biggest and highest quality brands in place. We have all your commercial equipment needs under one roof. This is why you need to buy the best of our products by just ordering from our store. 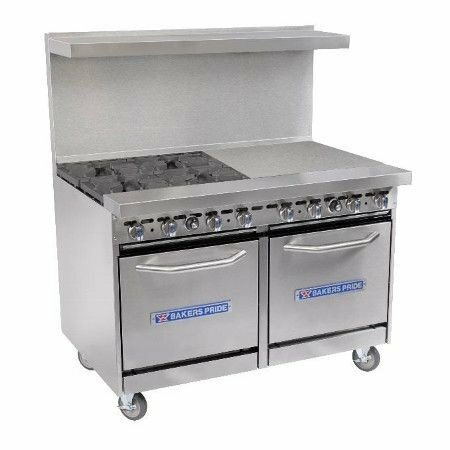 There is a lot more to commercial kitchen equipment than a few stoves. Do you have enough ranges in your restaurant to make sure that food is getting in and out at a fast rate? Some of the times you will find so many options on what to do with a range but not where to buy the best. We offer you hands on advice with our very well trained salespersons who have worked in the food industry and amassed a wealth of experience. Sometimes the type of equipment you need will depend on several factors. Some of those factors include the size of your kitchen. The food to be prepared there and your customer base. If you are in a busy area then you may need some heavy duty cookers and some for those need to be brand names. If you have a large kitchen then you can obviously put in more ranges and have different cooking points let's say perhaps for the soups and fried foods. Refrigerators should be on your list of equipment to buy and why not. Most restaurants these days are telling their customers how fresh their food is and it should always be the main selling point in any conversation when it comes to food. To keep them coming back you will need to get more fresh produce and that's by keeping it well stored. If you use foods like cheese or milk products you do not want them going bad. We deliver all across the country and look forward to serving you with nothing but the best when it comes to good and quality refrigerator units. Most people are hesitant to buy a fridge and have it shipped over due to the many spoilt pieces. This is why you need to choose us for the delivery will be done safely and installation will be efficient. We know the value of the goods being carried and being careful is not an option. From burners to ranges to food prep and warming systems we have it all. We sell a variety of stands for specific brands. You no longer have to worry about placing your equipment on the floor or makeshift tables when a professional stand exists. All you have to is order it along with the items and have it delivered to you. We aim to satisfy our customer's needs and therefore take great effort in building a caring and efficient staff. We only advice you on the basis of our experience and what you want to achieve in your investment or restaurant.